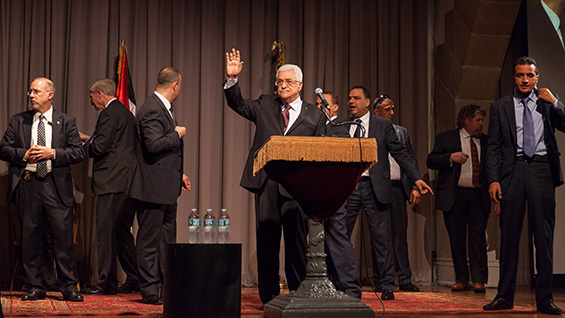 Jamshed Bharucha, president of The Cooper Union, welcomed President Abbas, saying, "this hallowed Great Hall has been about freedom of speech … about giving the speaker the floor … I trust that today we will live up to that great tradition." Ambassador William Clark, executive director of Churches for Middle East Peace, who co-sponsored the event, introduced President Abbas. During his speech the president made many references to The Cooper Union, calling it "one of the world's most distinguished colleges," and repeatedly remarked on the historicity of The Great Hall. You can view the entire event below or here. President Bharucha begins his welcome at the 2:30 minute mark. 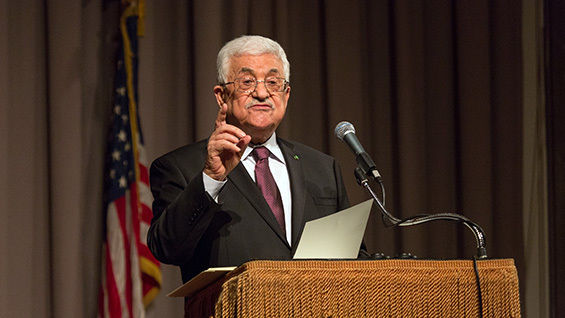 Ambassador Clark introduces President Abbas at the 6:30 mark. 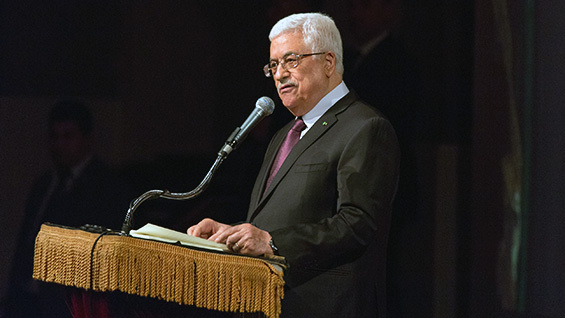 President Abbas begins his speech at the 10:00 minute mark.